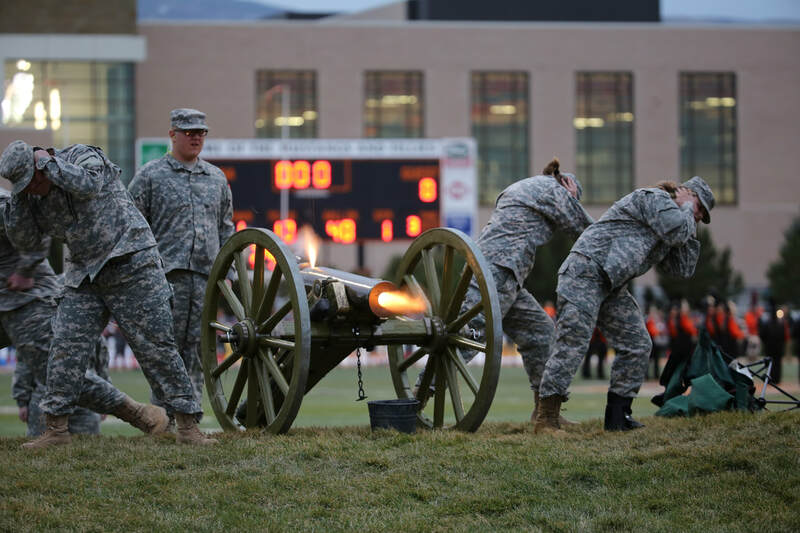 Natrona County High School activities and extracurricular programs are among the finest in the Rocky Mountain region. 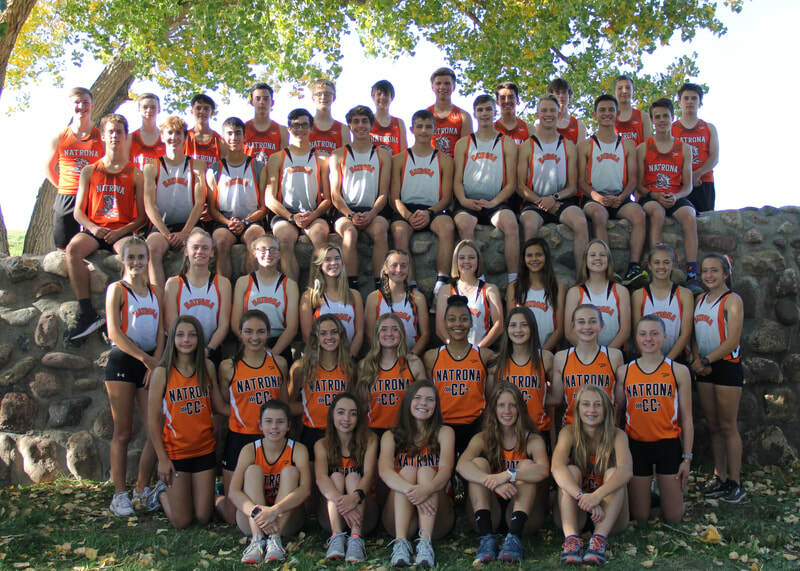 Natrona County High School believes that participation in activities and extracurricular programs provides a wealth of opportunity and experience that assists students in personal growth, self-expression, mental alertness, and physical growth. The Natrona County Activities Department strives to provide a positive environment dedicated to achieving excellence in activities and academic performance. Participating in activities inspires personal development that prepares students to contribute to society in a lasting and meaningful way. 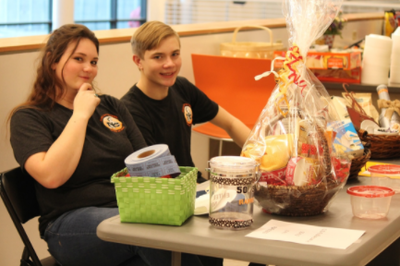 Activities play an important part in the life of Natrona County High School! Young people learn a great deal from their participation in interscholastic activities. Lessons in sportsmanship, teamwork, competition and how to win and lose gracefully are an integral part of each team in our activities program. Activities also play an important part in helping the individual student develop a healthy self-concept as well as a healthy body. Activities and clubs continues to add to our school spirit and helps develop pride in our great school. Click on button for release form. ​ Remarkable sounds from amazingly talented students directed by Shawn Weis. Not only do students dedicate their fall to marching band, they also participate daily to bring music to the school and community for their concerts. 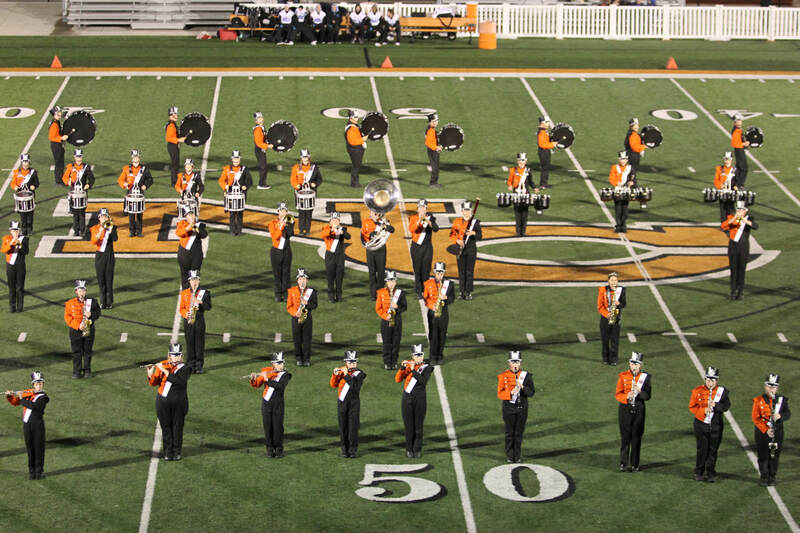 Marching band students spend countless hours preparing a different show for each home game. Mr. Weis and his students bring popular hits to the home field making the NC Fighting Mustang Marching Band the best in the state. 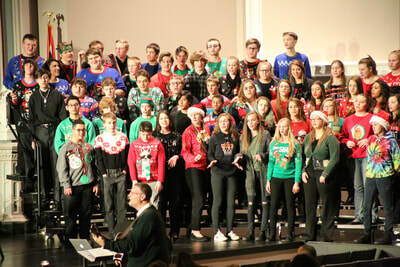 ​ Each year, Mr. Grussendorf has over a hundred students involved in some aspect of choir. Whether it is concert choir, vocal jazz, chorale or harmony, students practice to entertain the community in concerts throughout the year. Music students also compete attend the Kinser Jazz Festival as well as state events which lead to many students receiving all-state honors. Natrona County High School is home to the first troupe inducted into the International Thespian Society. Offering three main stage shows per year as well as entries into the Wyoming State Drama Festival, NCHS offers one of the only full-time high school theater programs in the state of Wyoming. ​ Students can explore many different areas of theatre studies including advanced acting, stagecraft, costuming, stage make-up and many other subject areas. 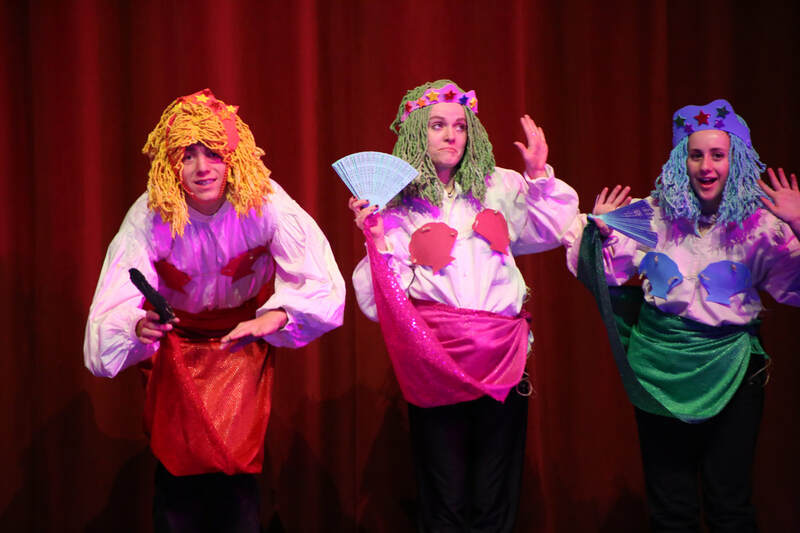 NCHS has a rich tradition of producing top quality educational theater in one of the finest performance spaces in the areas. With so many opportunities to get involved with performance and behind the scenes studies both during the school day and after, NCHS offers one of the best programs in the state. The Mustang Battalion serves as a citizenship training program for NCHS. The Mustang Battalion began at NC in school year 1913-1914 and here continuously since. Our vision is to “MOTIVATE YOUNG PEOPLE TO BE BETTER CITIZENS!” This accomplished through a curriculum of leadership, citizenship, goal setting, fitness and health, and government. The vehicle used is the U. S. Army our values, structure and organization, and discipline. The curriculum is a hands-on, participatory learning environment. Cadets accomplish individual and group presentations, writing assignments, and group activities. The cadets participate in activities supporting NCHS, Casper, and the state. The Mustang Battalion is cadet lead. The cadets plan and execute the training and activities of the Mustang Battalion. Mustang Battalion Rifle Team is varsity sport. The Mustangs are the reigning state champions for the last five consecutive years. The team has participated in the National Junior Olympics National Air Rifle Matches for the last five year. We are a nationally ranked team. Several cadets are ranked in the top twenty-five shooters in the nation. Monday after school team meetings are MANDATORY. If you don't show up, you don't travel.